SERCOS (SErial Realtime COmmunication System) interface is a standardized, Ethernet based digital interface for communication between controls and drives/servos (IEC 61491 and EN 61491). This is done in real-time and was designed mainly for synchronization of digital servo drives. The SERCOS interface is provided and further developed by SERCOS International e. V. (SI). Since the mid 90s, the Zentralverband der Elektro-Industrie (ZVEI) together with the Verein Deutscher Werkzeugmaschinenfabriken (VDW) has developed the specifications for a digital and manufacturer-independent interface. The first generation SERCOS I was published in 1995 and operated with a transfer rate of 2 or 4 Mbps. SERCOS II was introduced in 1999, operated with up to 16 Mbps, and can also transfer asynchronous data in a service channel. SERCOS I and II were based on transfer via an optical waveguide ring. With SERCOS III, communication takes place via the physical medium of Ethernet. Sercos III was developed further on the basis of the standard Ethernet - building on the Sercos interface standard (IEC/EN 61491) existing at that time. Although new functions were added to Sercos III, the proven mechanisms could be transferred to the Ethernet standard. These are for example the hardware synchronization, the telegram structure, and the special motion control profiles. The main aim of the further development of Sercos to Sercos III was to meet real-time requirements. For this purpose, Sercos III uses a collision-free real-time channel for transfer of the telegram definitions (Ethertype 0x88CD). The largest advantage of this is the high protocol efficiency, which results in high performance even with several participants and low user data. Furthermore, Sercos III uses a non-real-time channel in combination with the real-time channel. The non real-time channel with Sercos III enables the transfer of IP-based protocols (TCP/IP, UDP/IP) and Ethernet telegrams (Ethertype <> 8x88CD). Because of the employed ring structure, Sercos III enables redundant data transfer (characteristic of Profinet and Profibus). The ring structure is not single as in the case of Sercos I and II. Due to the full duplex-enabled Ethernet physics, a double-ring structure is built. In this way, communication can be maintained even when a cable break has occurred at some point. Accordingly, trouble-free operation of the installation is guaranteed. In this case, an integrated diagnosis mechanism forwards the damaged cable connection, which can be replaced without problems. When Sercos III is used for an extended installation, a line structure can also be used. This does not have the advantage of redundant data transfer, but saves a cable connection. The star topology of the standard Ethernet is not used with Sercos III, neither are switches and hubs. Easy operability is a key factor in the installation of a Sercos III network, so that no special network configuration is required. With this, the use of patch and cross wiring makes connection of all participants possible. While the Ethernet ports can even be used to connect a Sercos III real-time network with established Ethernet devices (for example laptops), the individual devices can be exchanged easily. This makes access of many IP and Ethernet protocols to Sercos III devices possible. This requires neither activation of the protocol (offline) nor is the real-time behavior (online) in the Sercos III network influenced. Sercos III communication is based on the master-slave method, where a time slot procedure with periodic transfer of telegrams is used. With this, master data telegrams (MDT) - nominal values - are sent from the master to the respective subordinate slave. On the other hand, the slaves send the corresponding acknowledge telegrams (AT) - actual values - back to the master. The above named cross traffic furthermore enables direct data transfer between slaves for Sercos III networks. Because old functions are incorporated, the communication of Sercos III is possible on a cyclic as well as an acyclic level. Used in the real-time as well as in the non real-time protocol. Communication between devices takes place independent of the master. No interference with the real-time behavior in the network in case of parallel transfer of the S/IP telegrams in the non real-time channel. As with the predecessors Sercos I and II, the communication with Sercos III takes place on a cyclic level. 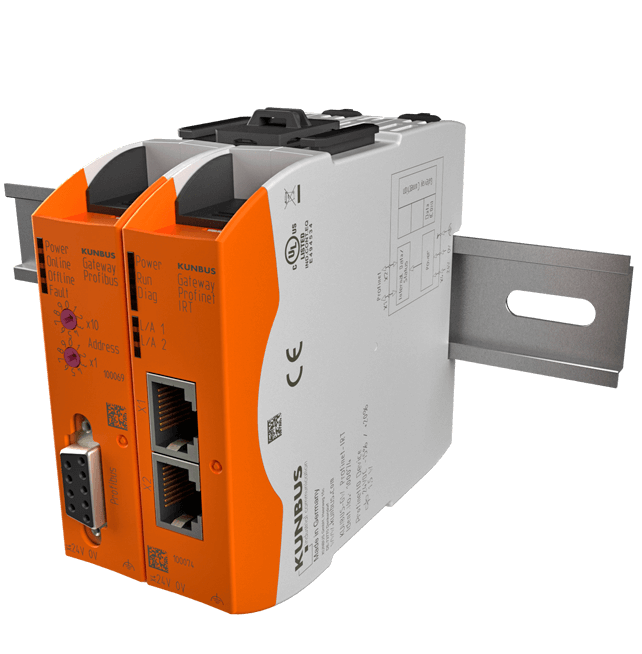 Up to a maximum value of 65 ms, the cycle times in the Sercos III network can be 31,25 µs, 62,5 µs, 125 µs, 250 µs, and a multiple of 250 µs. Because of the variable cycle times, realization is given for centralized as well as decentralized signal processing in drive concepts.